DNA editing has been a topic of medical research lately as advancement in the area could mean the potential for treating diseases. The Scripps Research Institute (TSRI) has developed a way to expand the application of new technology to possibly benefit healthcare and patients across the world. The process of DNA editing is still complex, however, the new breakthrough will make a difference in many medical fields. DNA-binding proteins called transcription-activator-like effectors (TALEs) have been experimented with to rewrite genes within cells, opening potential for treatments of genetic diseases, according to TSRI. TALEs give biologists the ability to manipulate DNA with better precision, enabling the segment to perform a desired function. The breakthrough could benefit gene therapy, stem cell medicine, nanotechnology and biotechnology by allowing greater ease for manipulation of DNA in living cells. DNA testing can be extremely sensitive to the surrounding environment, and temperature may influence results if not regulated. Targeting individual genes and changing them has helped researchers study biological diseases and how the genes function, according to Health Canal. This process can shed light on how illnesses develop as well as test for potential treatment options, including DNA editing procedures. "Genome engineering allows you to change gene function in a very targeted way, so you can probe function at a level of detail that wasn't previously possible," University of Wisconsin-Madison School of Medicine and Public Health assistant professor of biomolecular chemistry Melissa Harrison told Health Canal. Lab research is an important process to determining what causes diseases. While there have been some breakthroughs in cancer and genetic illness studies, there's still a long way to go to offer solutions on a consumer level in order to fully treat patients. In the lab, environmental control systems should be used to ensure that the conditions are constant to guarantee no adverse effects or flukes occur as a result of the surrounding area. Many organizations have been using DNA in their investigation to observe various trends that may prove to be a commonality among the cell samples. For example, the Wellcome Trust Sanger Institute has monitored the various scar signatures imprinted on DNA after a genetic mutation. With 7,000 cancer samples, the scientists were able to identify more than 20 impressions of biological processes that alter DNA, according to the report. With that many samples, temperature monitoring may be crucial for organizations to keep fragments in optimal conditions for testing. Any environmental anomalies could make the specimen unusable or could influence the outcome. However, the scientists were able to produce results which may help treat the illness. "Through detailed analysis, we can start to use the overwhelming amounts of information buried deep in the DNA of cancers to our advantage in terms of understanding how and why cancers arise," Wellcome Trust Sanger Institute author Serena Nik-Zainal said. "Our map of the events that cause the majority of cancers in humans is an important step to discovering the processes that drive cancer formation." 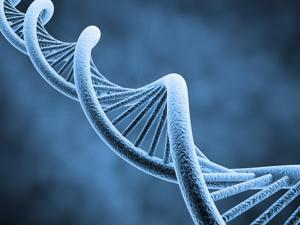 DNA editing has shown immense promise as the next step in innovative medicine. The new breakthroughs, along with technological advancement, may lead to new treatment options in the future for genetic diseases and cancer.